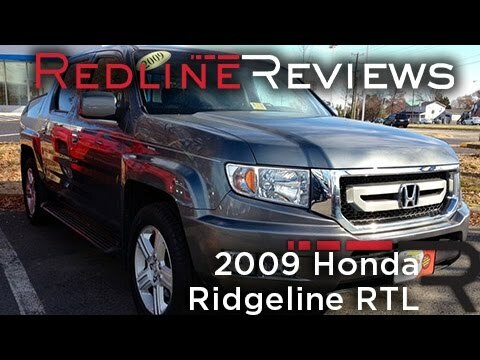 If you're looking for a medium-sized pickup with outstanding resale and build quality, the 2010 Honda Ridgeline may be just the ticket. A locking weather-resistant trunk positioned in the cargo bed floor is easily accessed via the dual-action tailgate, which flips down in the normal way or swings open like a door. One of a kind that I feel gets better with time. I had brought my car new and I've always wanted a truck and as soon as I saw my Honda ridgeline I knew that if was just for me that seems completely different from the other trucks. Comfortable inside and a medium sized truck bed with accessible cooler/storage area that lets out the water from the inside and has the ability to have lights on the back that help illuminate the back of the bed. Great vehicle. Like a suv, but still like a truck. The perfect.vehicle. I love my vehicle. It is sporty, yet practical. It's nice to look at, plenty of room, and for like a truck. I can always load the family around, and I can load stuff in the back, no problem at all. I only dislike the normal wear and tear, and that's something that happens to all vehicles. It has all will driving so it makes it easier to travel in the winter time, which is a must in Minnesota. I like that the vehicle has the same cabin space as a Honda Pilot and has 5 ft truck bed. Also under the truck bed is a large storage area that has come in very handy. The gas mileage for the truck is acceptable. Finally, I love the interior because it is comfortable. No complaints.